If you’re considering an upgrade and looking around for a new Android phone, but you prefer not to buy an enormous handset, then the Huawei P30 and the LG G8 ThinQ are probably on your radar. These 2019 phones both have plenty to offer, but how do they measure up against our favorite phone from last year, the Google Pixel 3? There’s some common ground here, but there are a lot of differences and interesting quirks to these devices. Check out our comparison, complete with winners in different categories, to help you decide which one should be your next phone. The LG G8 ThinQ leads the field here in terms of raw processing power with a Qualcomm Snapdragon 855 processor and 6GB of RAM. The Huawei P30 isn’t far behind with a Kirin 980 processor and 6GB of RAM. The Google Pixel 3 clearly lags with last year’s Snapdragon 845 and 4GB of RAM. The fact that it runs stock Android does something to redress the balance here, but it still can’t keep up with the other two. Battery life is also a weak point for the Pixel 3. It has the smallest capacity at 2,915mAh and it frequently runs alarmingly low before the end of the day. The LG G8 ThinQ has a much bigger, 3,500mAh battery and the Huawei P30 has an even bigger battery rated at 3,650mAh. Even with larger screens these two phones should outlast the Pixel 3 and give you a day’s worth of use before needing to be plugged in. All three support fast charging, but only the LG G8 ThinQ and the Pixel 3 support wireless charging. The Huawei P30 and LG G8 ThinQ are both significantly bigger than the Pixel 3, which is the perfect size for one-handed operation. However, that means you also get more screen. The LG G8 ThinQ has a notch at the top, a small chin at the bottom, and rounded edges. The nondescript back has horizontally arranged camera lenses and a recessed fingerprint sensor below. The P30 manages to get by with a smaller, teardrop notch and there’s even less on the back, with a vertically stacked camera module at the top left. Huawei’s phone is offered in the most eye-catching array of colors which includes a crazily bright orange and red called Amber Sunrise and a blue and silver gradient called Breathing Crystal. The fingerprint sensor in the Huawei P30 is in the screen. The Pixel 3 looks dated by comparison with bigger bezels above and below the screen. It has a single camera lens at the top left on the back and a fingerprint sensor in the middle. All three of these phones are glass, so you’ll want cases for drop protection. The LG G8 ThinQ and Google Pixel 3 both have IP68 ratings, which means they can be submerged in water and survive unscathed. The Huawei P30 only has an IP53 rating, which means rain won’t pose a problem, but a dunk would. We’re giving the narrow win to the Huawei P30 here based on the design. The Huawei P30 and LG G8 ThinQ boast 6.1-inch displays, while the Pixel 3 makes do with 5.5 inches. Thankfully, all three are OLED screens. In terms of sharpness, the LG G8 ThinQ is clearly superior with a 3,120 x 1,440 pixel-resolution which translates to 564 pixels per inch. It’s also bright, with vivid colors, and it supports HDR10. 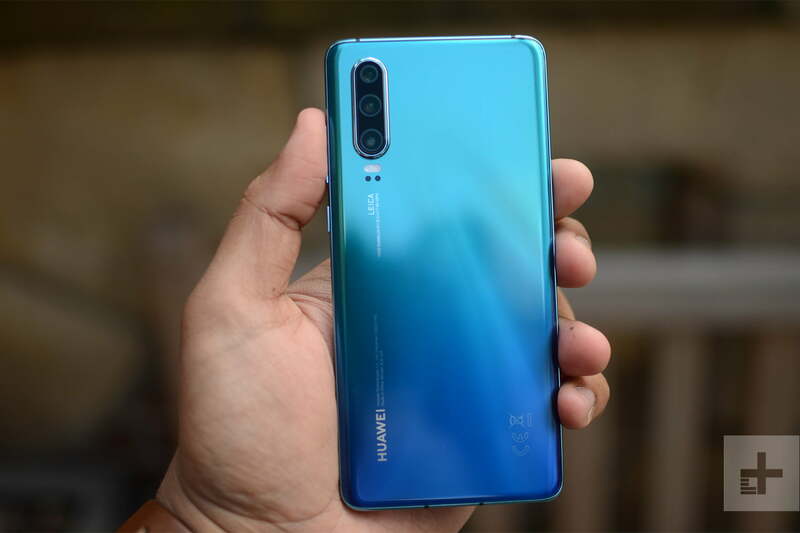 The Huawei P30 boasts an impressive triple-lens camera suite that consist of a 40-megapixel, f/1.8 aperture SuperSpectrum lens, a 16-megapixel ultra wide-angle lens, and an 8-megapixel telephoto lens with a 3 times optical zoom and an f/2.4 aperture. 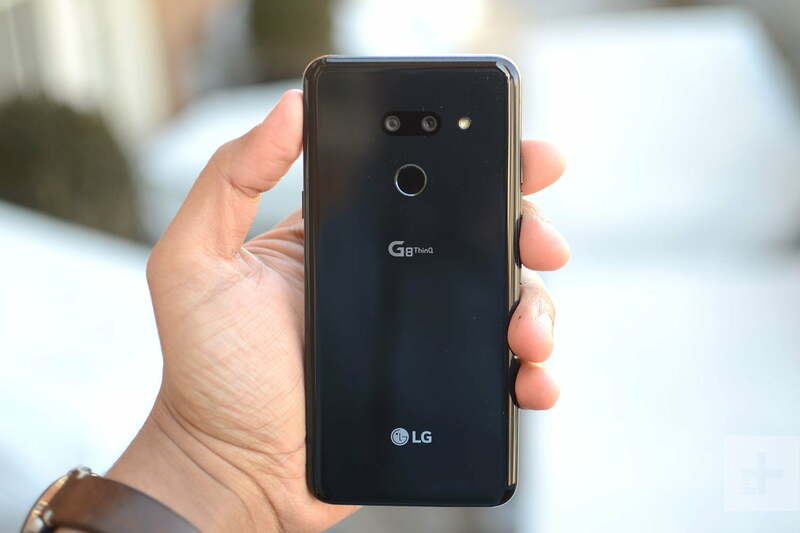 The LG G8 ThinQ has a dual-lens main camera featuring a standard, 12-megapixel lens with an f/1.5 aperture and optical image stabilization, paired with a 16-megapixel wide-angle lens with an f/1.9 aperture and 107 degrees field of view. In some markets it also has a third 12-megapixel telephoto lens. 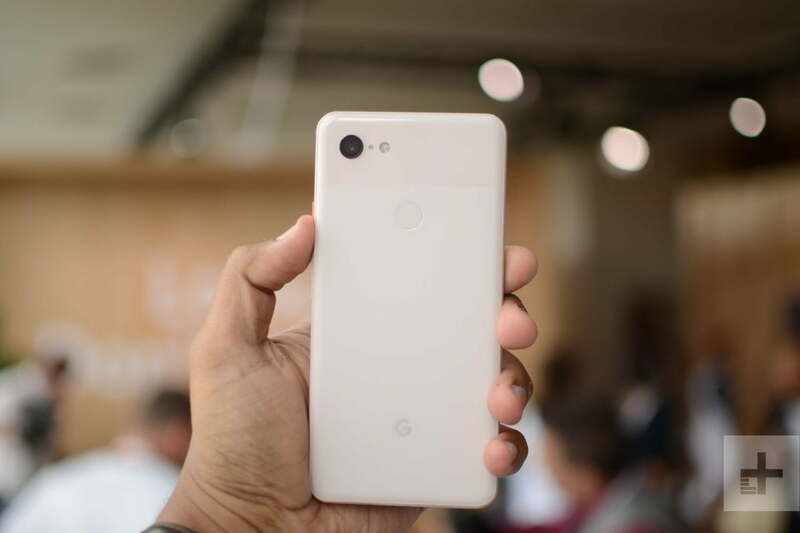 The Google Pixel 3 has a single 12.2 megapixel lens. Despite the lesser hardware, Google does some very clever image processing that has made the Pixel 3 our reigning camera phone champion. There are differences on the front, too, where the Pixel 3 pairs two 8-megapixel lenses, the LG G8 ThinQ has an 8-megapixel lens and a time-of-flight sensor, and the Huawei P30 has a single 32-megapixel lens. While we know the Pixel 3 gets excellent results, we need a bit more time with the other two to draw any conclusions, so this is a tie for the moment. With stock Android straight from Google, the Pixel 3 offers the slickest software experience by far. It will also receive updates far faster than the other two and is likely to get updated to the latest version of Android for longer. What you do get with the Huawei P30 is a host of customization options, and there are lots of extras on the LG G8 ThinQ, too, but the Pixel 3 is the clear winner in this category. The Huawei P30 has that impressive camera suite, the in-display fingerprint sensor, and a few tricks, such as the ability to unlock certain models of Audi. The LG G8 ThinQ has the Z camera as its headline special feature. Using the time-of-flight sensor to measure depth, it enables gesture control without you having to touch the phone and also secure face unlock. So far, so gimmicky. The Google Pixel 3 offers innovative A.I. features such as call screening and Duplex, which enable Google Assistant to screen spam calls for you or book you a table at a restaurant. There’s also Now Playing, which tells you whatever music is playing in your vicinity, and the camera is packed with clever A.I. tricks. The Google Pixel 3 has been available for several months and you can buy it unlocked for use on any carrier starting from $800. The Huawei P30 is not officially available in the U.S. so you won’t find it at any carrier, but you could import one. It starts from $900. The LG G8 ThinQ is available for pre-order now and Verizon and T-Mobile will carry the phone. It starts from $830, but both carriers are running offers that knock the price down. Even though it’s an older device, we would pick the Google Pixel 3 over the Huawei P30 or the LG G8 ThinQ. It has the slickest software, genuinely useful extras, and an excellent camera. It’s not an entirely clear cut win, though. If performance and display are top of your list, then the LG G8 ThinQ might make more sense for you, and the Huawei P30 is a real looker with a versatile camera suite.